From the Welsh valleys comes a sound that has nothing at all to do with the corporate mechanisations of the music industry. Here music is not just a business but a way of life – originally a way of expressing faith and later a vital part in the everyday existence of close-knit mining communities. From their ranks sprang forth a choral tradition that not only remains as strong as ever, but continues to be built on the most emotive of all instruments: the voice. Though he now divides his time between Spain and Wales, Steve is a son of that land and that tradition. Born into the unique musical setting of the Rhondda Valley and gifted with a natural talent, he has gone on to express himself through music wherever he finds himself, be it at the workingman’s club his parents ran, on the stage in the West End, or as a tenor equally at home at an intimate Marbella gathering or a large international concert. “A love of music is something universal, shared by many of us,” says the soft-spoken Welshman, “but my own origins in the Welsh valleys is something that puts a very specific and profound stamp on me, both as a vocalist and a person. Though I sing in a variety of styles and cover quite a wide range of musical genres it is something I carry with me regardless.” Surrounded not just by the music but also by the tight-knit spirit of the valleys, he learned to read music and would take the microphone and sing to an empty room at his parents’ club after the crowds had gone – imagining that one day it would be a concert hall packed with people. 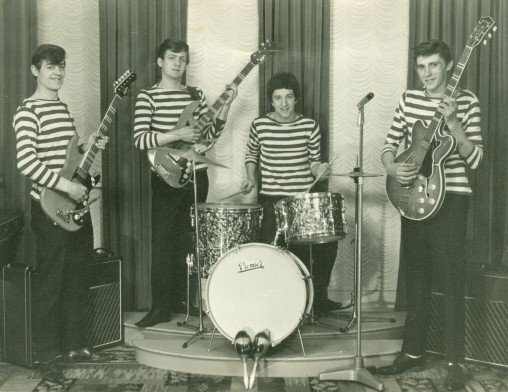 What started in the workingman’s club and as part of the school brass band eventually grew into a passion that saw him realise many of his musical dreams and ambitions. “I have performed in the West End and at concert halls in front of thousands of people, but one of the greatest pleasures was being invited to be the guest soloist of Welsh choirs touring Spain.” In spite of his success as a tenor and the feedback he gets from the audience when singing Italian classics such as Nessun Dorma as well as contemporary songs, the choral music of his youth continues to have a special place in Steve’s heart. The musical tradition of the valleys is clearly about more than musicality or entertainment alone, having played such an important social role for so long. “It is about feelings, experiences and how a community pulls together. The Rhondda Valley was a very giving environment. When someone needed help people rallied around, and this is perhaps the central message of our music as well.” It is certainly a philosophy that continues in his own life, for regardless of punishing schedules or other demands on him, Steve has always been more than willing to make his time and talents available to charities both locally and abroad. This includes performing regularly at events such as the Butterfly Ball at the Puente Romano Hotel, held in support of the Rhys Daniels Trust Charity, and the UNESCO-accredited Children for Peace Charity, but also giving the proceeds of album sales to charity. The latter include recordings on behalf of fundraising for victims of the Haiti earthquake, as well as a special re-release of his album To Where You Are, in aid of the Cudeca Cancer Hospice. The fight against cancer and the care for people suffering from this debilitating disease is one that is particularly close to his heart. “It’s a cruel disease that rips the heart out of families, including mine. There is no discrimination; it can hit anyone and at any age. Anything that can be done by any of us to raise money to improve the odds, whether in terms of treatment or palliative care, is vitally important.” The recent loss of his father to cancer has reinforced his commitment to this goal, and inspired the recording of an album in his memory. “I had a very close bond with my father, and I think I owe much of my love of music to him,” says Steve. “He was a singer and bass guitarist in the 60s band The Zendars, who supported The Who, so when I was growing up there was always an eclectic mix of music around me.” It is this very personal soundtrack to an era that he is recording in his own style on In My Father’s Footsteps, adding some of his own contemporary favourites to create a highly original and complimentary songbook. “The album will include a selection of my father’s favourites, like Let It Be Me (The Everly Brothers); Make it with You (Bread) and Vincent (Don McLean), along with classic Italian songs such as Torna a Surriento and Canto Della Terra, right up to Snow Patrol’s Chasing Cars.” Recorded at the famous Pop Factory in the Rhondda and featuring his warm voice and intonation, the album will be released in July, this summer. 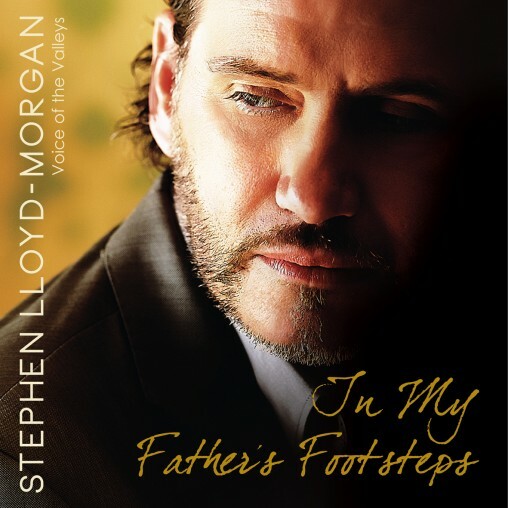 Steve is giving all proceeds of In My Father’s Footsteps to The Cudeca Hospice and Welsh cancer charity Tenovus – proving once more how far the voice of the valleys carries the message of compassion. This entry was posted on Tuesday, July 3rd, 2012 at 1:16 pm	and is filed under General Interest, Interviews, Music. You can follow any responses to this entry through the RSS 2.0 feed. Both comments and pings are currently closed.